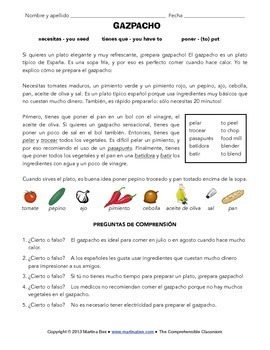 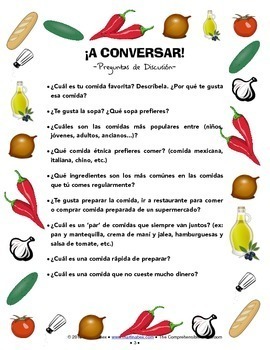 This product contains 1-2 day lesson plans for beginning Spanish classes. 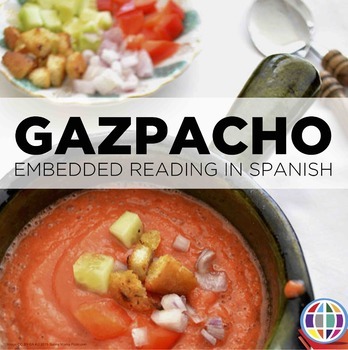 It contains a three-level embedded reading based on the song “Gazpacho” by La Ogra, and it is designed to teach students about the food of the same name. 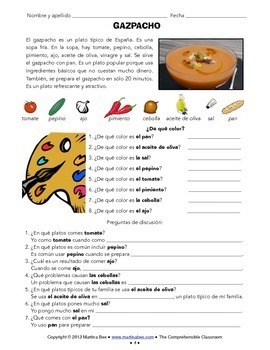 The plans include discussion questions, three readings, comprehension questions, additional activity suggestions, answer keys, and detailed lesson plans.